Ever since I was a kid my mom would make tourtière - it's a Christmas tradition. Not being French Canadian, we just called them meat pies - savoury pork/beef filling with cinnamon, cloves, a touch of sage, mixed with mashed potatoes in the middle of a flaky crust. Simple enough, and so delicious. Today on the Mushrooms Canada Blog I'm happy to be sharing my mom's recipe, though I've altered it a bit by adding crimini mushrooms. They not only help to blend and extend the filling, but they add extra nutrition and flavour. 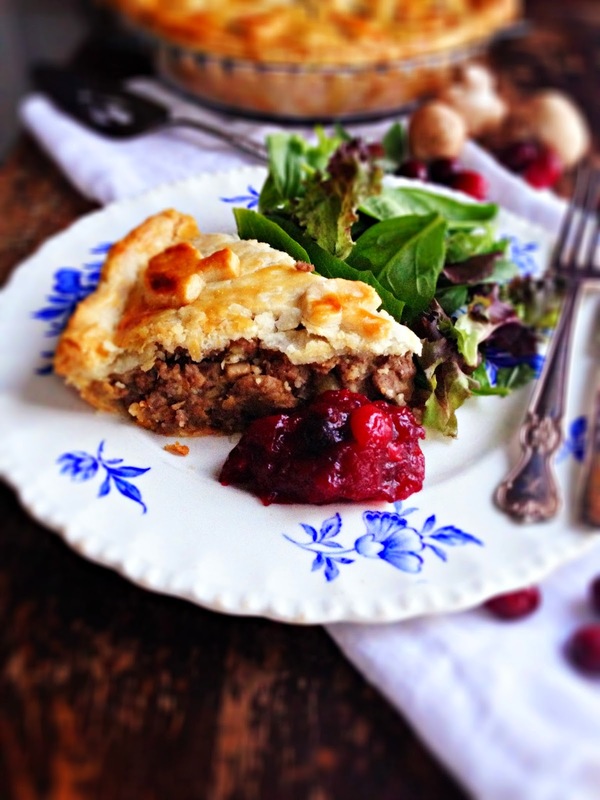 Tourtière freezes very well, and is perfect to have on hand when company drops in over the holiday season. You know it's going to happen, right? 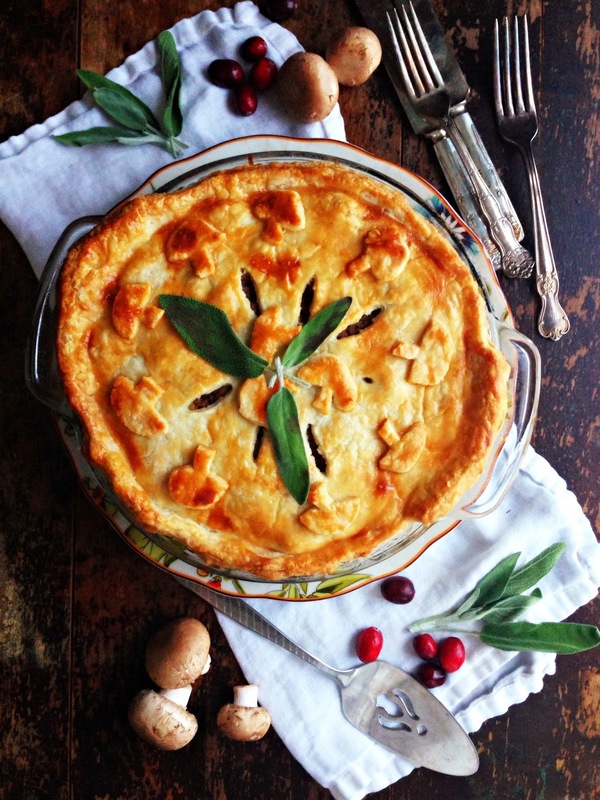 Young and old enjoy this hearty pie, and with a little cranberry compote on the side, it's just so darn seasonal. So, head on over to Mushrooms Canada and get the recipe. I think you'll be happy you did. Thanks for sharing your wonderful recipe Renee! I love the addition of crimini mushrooms to make this seasonal dish a little more nutritious... delicious! !